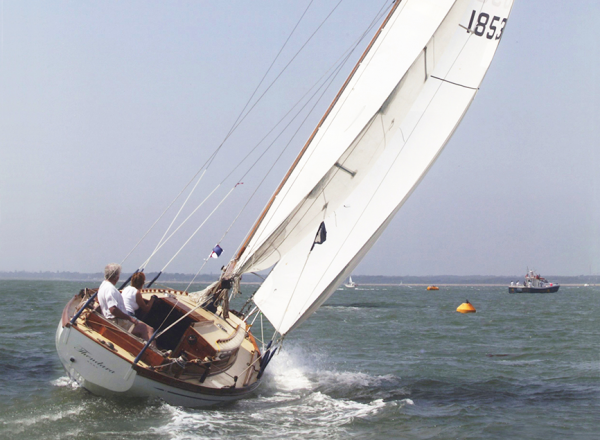 Designed by Alan Buchanan to 1960 RORC rules, built by St Osyth boatyard in 1961 to Lloyds 100A1. The Buchanan 33 was designed as a manageable cruiser racer yacht with enough space and headroom below to be a practical yacht but with the hull shape and rig to give very pleasing performance. 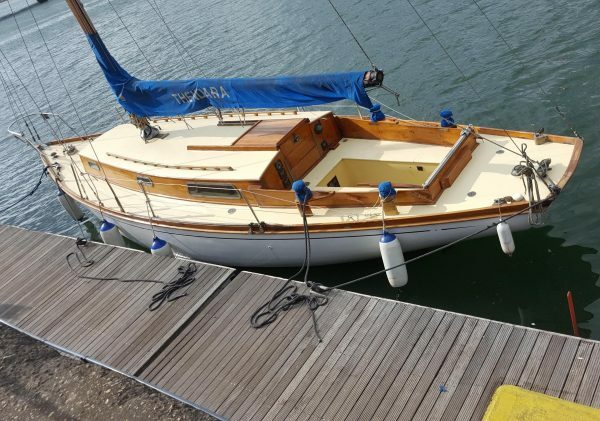 The present owner has had the boat for 20 years and raced regularly as well as cruising up and down the UK coast and over to France. 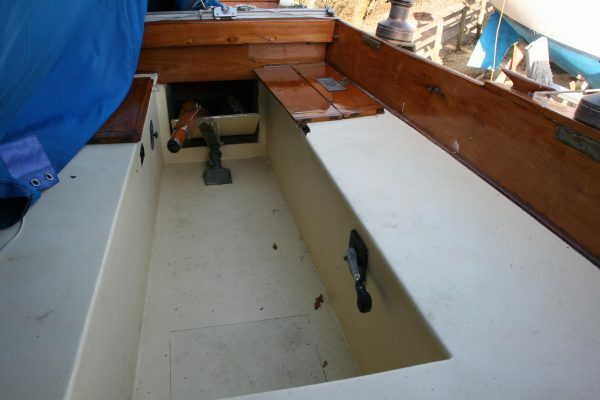 She has proved herself to be a fast boat, easily handled by two people and turns heads wherever she goes. Galvanised steel strap floors across the centreline. 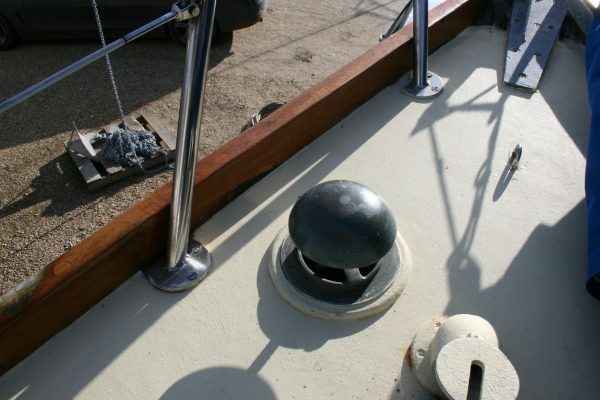 External iron ballast keel with galvanised keel bolts, last one drawn 5 years ago. 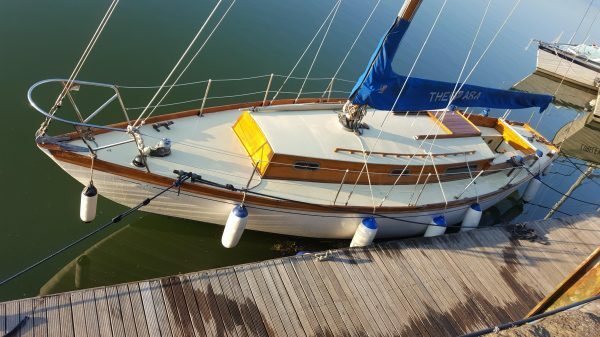 Marine plywood deck laid over deck beams and covered in the traditional canvas sheathing, finished with cream deck paint. Galvanised hanging knees. 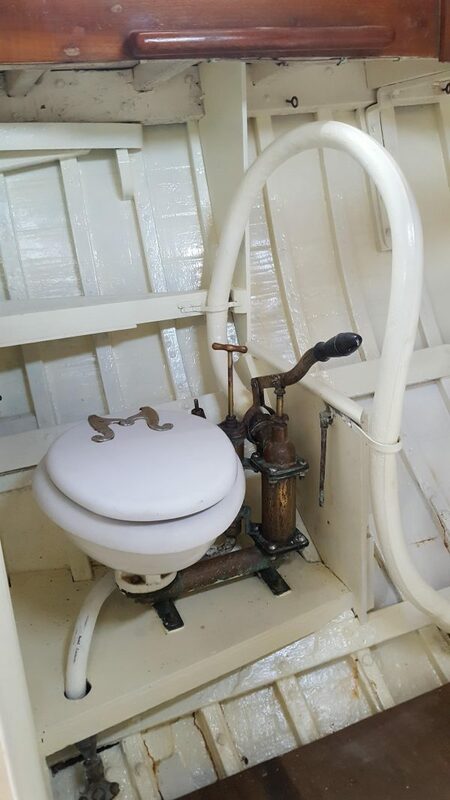 Self draining cockpit with varnished teak coamings and tiller steering. Varnished teak coachroof coamings with bronze framed windows and a sheathed plywood coachroof deck. 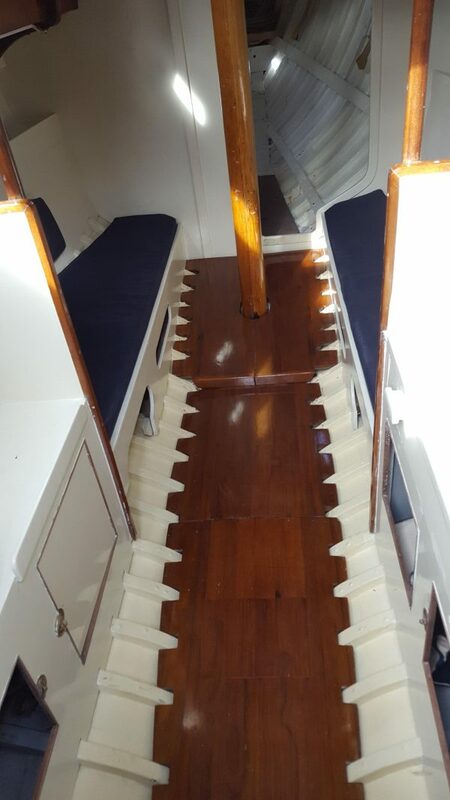 Varnished handrails and sliding hatch. Masthead bermudan sloop rig on her original keel stepped varnished mast. The mast is made from aircraft quality Spruce. 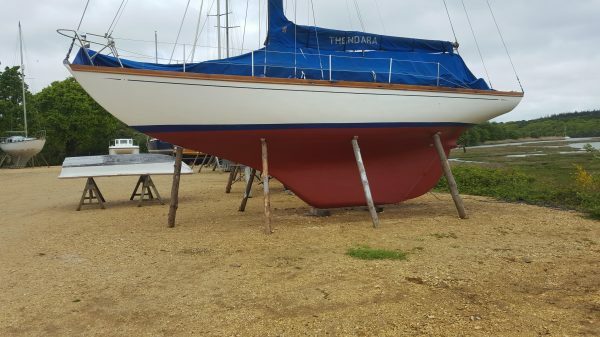 Varnished wooden slab reefing boom and alloy spinnaker pole. Stainless steel standing rigging recently inspected by Spencer Rigging. Bronze rigging screws to internal galvanised chain plates. New chain plate bolts 5 years ago. 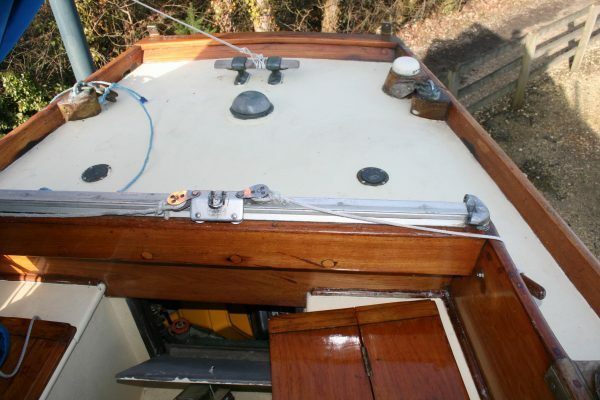 Twin forestays with hanked headsails, twin lower shrouds, single cap shroud and twin standing backstays. 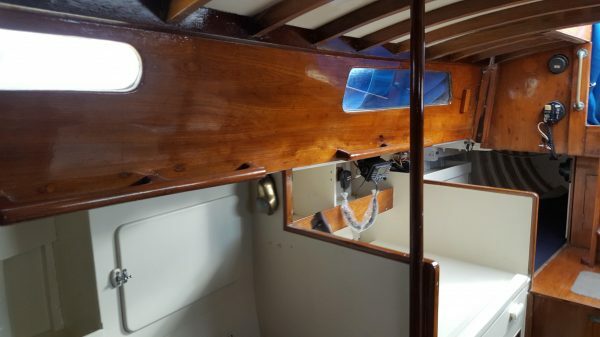 4 new bronze Lewmar self tailing winches on the cockpit coamings. 2 Tufnell winches on the mast. Mainsail, 3 headsails, spinnaker and asymmetric all in good condition. 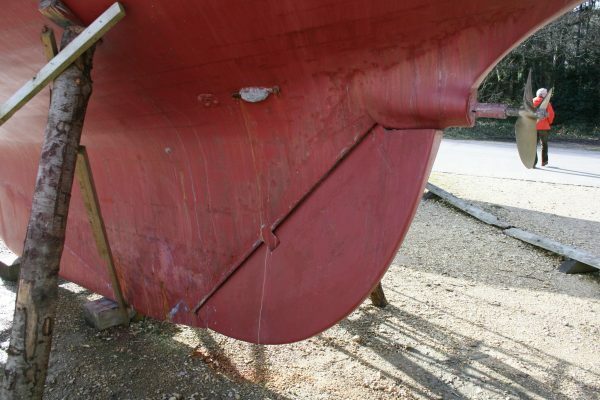 Vetus 3cyl 20hp diesel to a slightly offset fixed 3 blade bronze propeller. Recently rebuilt and in very good order. 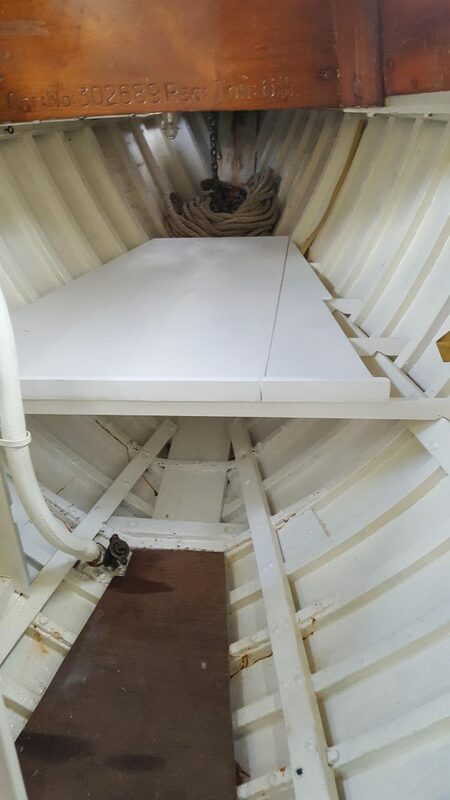 Twin stainless steel tanks under the aft deck. Approximately 100l total. 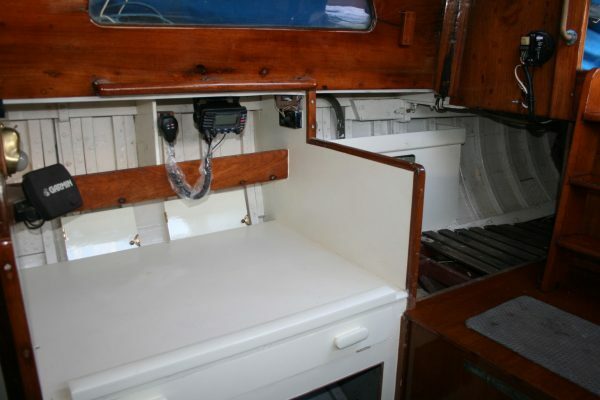 4 single berths including 2 quarter berths and 2 settee berths. Over 6′ headroom in the saloon. 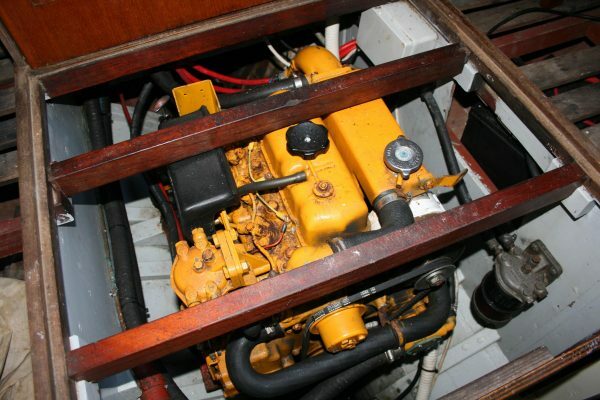 Step down over the engine box into the cabin with the galley to port and chart desk to starboard. 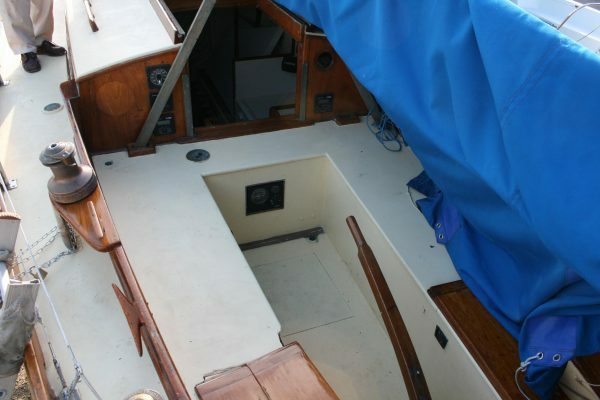 Quarter berths run under the cockpit thwarts either side. 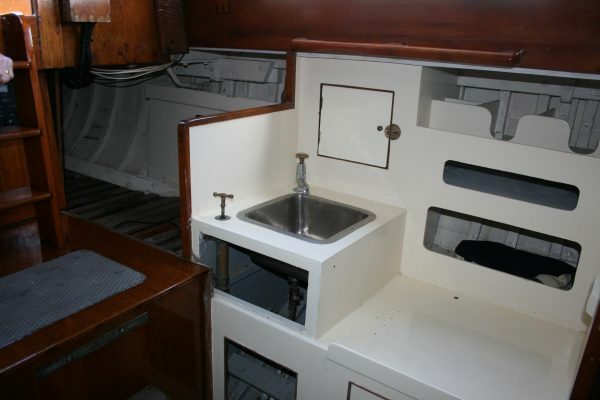 Galley has a single stainless sink with manually pumped fresh water and a fixed 2 burner gas stove. 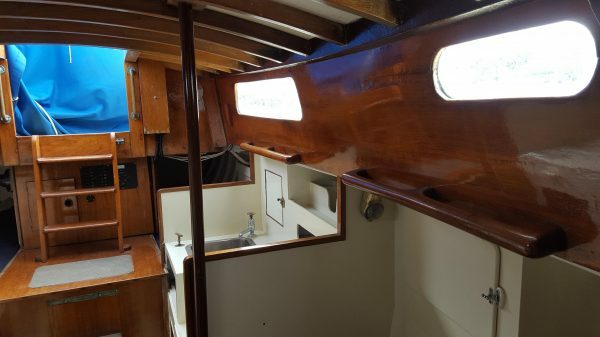 Half height bulkheads with vertical grab rails separate off the main saloon where there is a settee berth either side and a varnished teak sole. 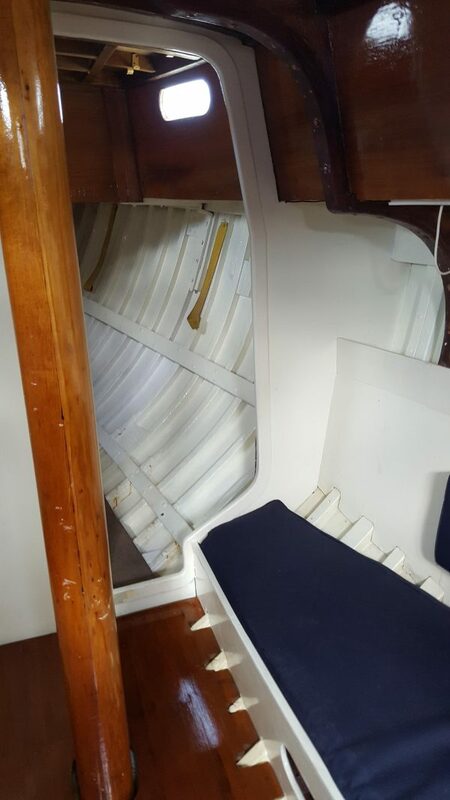 Starboard offset doorway into the forepeak with the Baby Blake bronze sea toilet mounted to port. The rest of the forepeak is dedicated to storage.